Stephen and Holly met overseas while doing mission work. Think of all the chips that had to fall just right in these two lives to end up on the continent of Africa at the same time and same exact place. At their wedding, guests came from all over the country to support them because their lives have been lived in so many places. And now they are together! Now these two awesome adventurers are TOGETHER living out even better adventures! WAH! That is just so amazing to me. Holly probably wins the award for most chill bride ever. Never once was she anxious. Never once did her kindness dwindle for even a moment. And Stephen was just pumped to see his girl!! 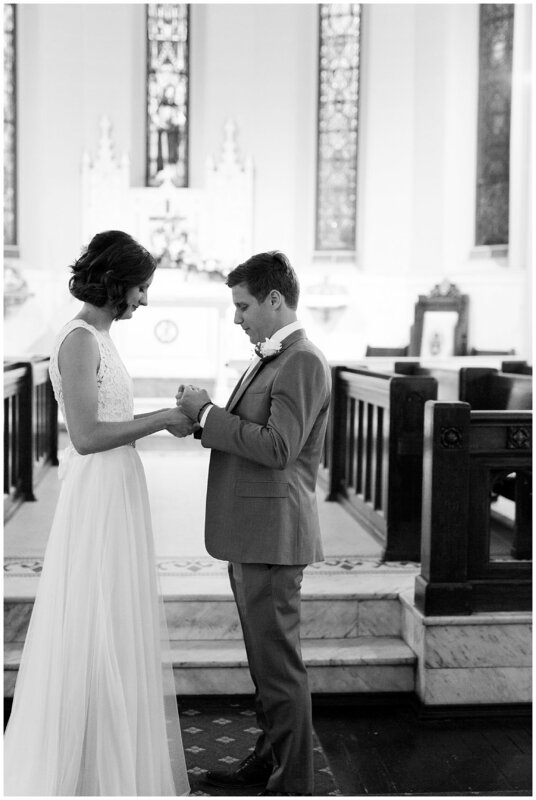 These two opted for a first look in the church they would soon become husband and wife. 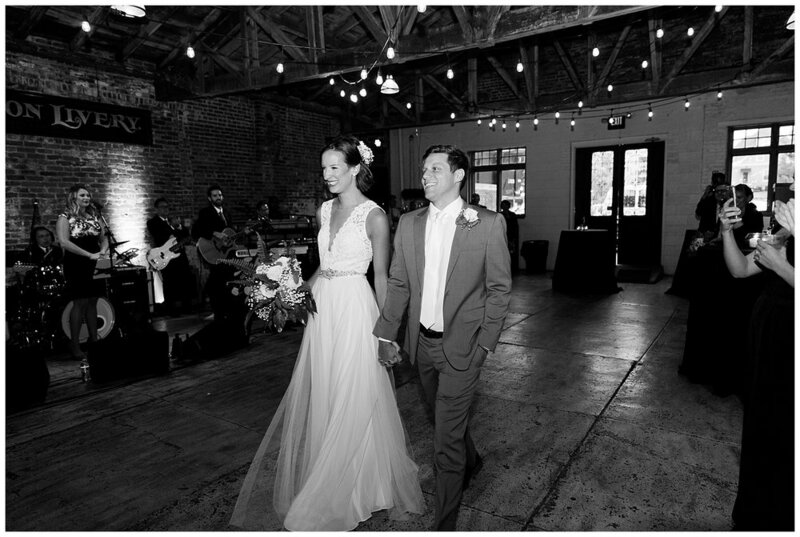 Their first look included a lot of smiling, a little twirling, and of course a fist bump for good luck. 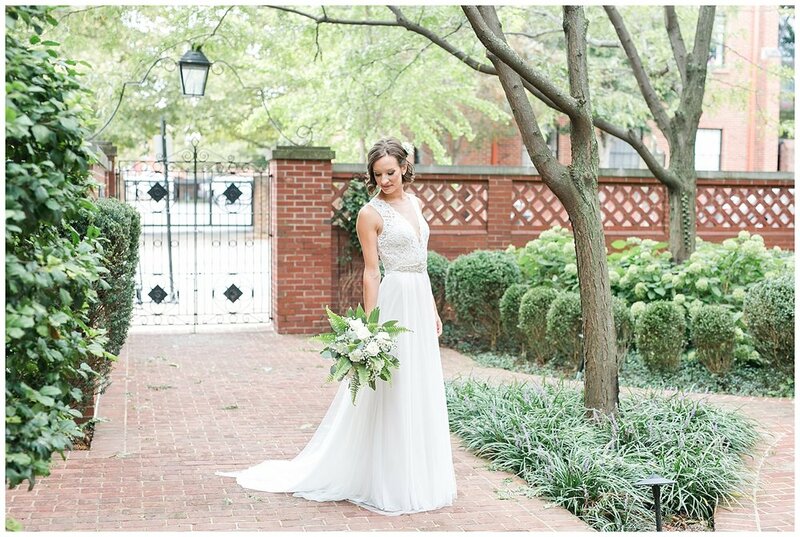 After the first look, we headed out in to the courtyard of the BEAUTIFUL Christ Church in Lexington, KY. 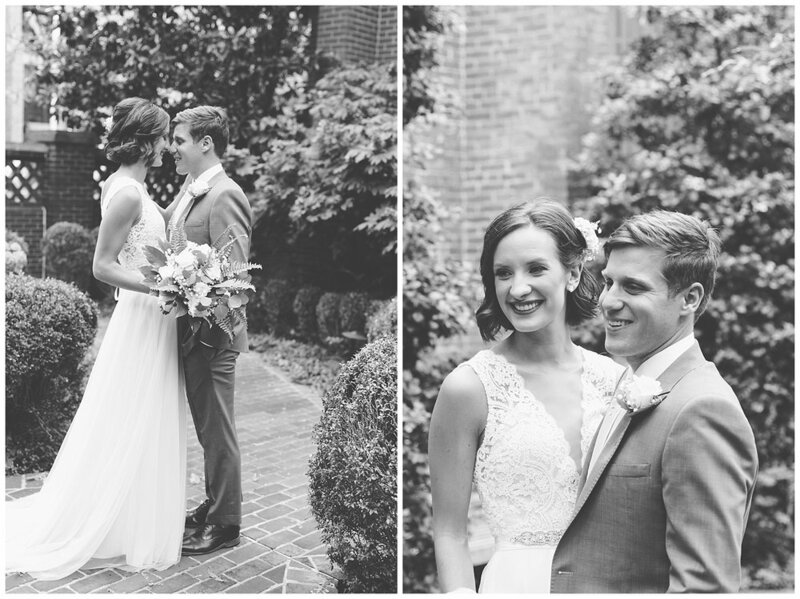 It is no secret that bride and groom portraits are typically my favorite part of the day. It is one of the few times that day that the bride and groom get a moment for just the two of them (plus me and Nick hehe). They get to snuggle, laugh, and practice for that first kiss! For me, it is the part of the day that feels truly full of love and affection. I get to just focus on them and they get to focus on each other. But then... BRING ON THE WEDDING PARTY! And as you will see below, this was a PARTY for sure. 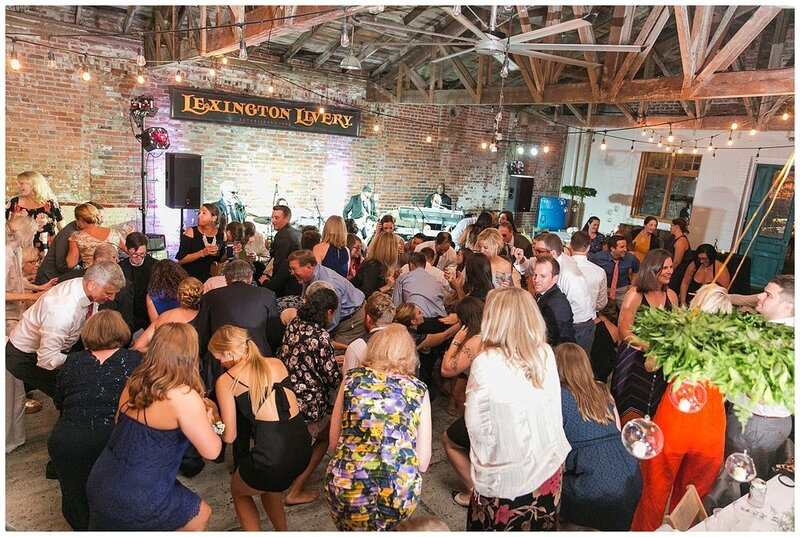 By far, this was the largest wedding party I have worked with and I will admit I was a tad nervous. But, of course Holly and Stephen are awesome so they have awesome friends! They were total troopers and we got wonderful party photos SO quickly. Just look at all those beautiful people! They did so well, that we had plenty of time to relax before the ceremony. I am going to let the ceremony photos speak for themselves. It was a beautiful traditional service. That reception, though. 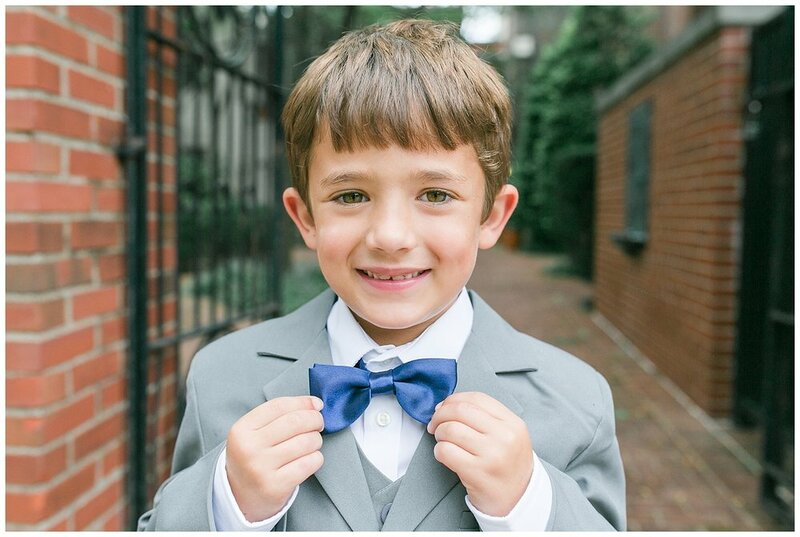 Stephen is an Episcopal Priest and so is his father. You need to know that because they made their entrance as husband and wife to the song, "Son of a Preacher Man" and it was AWESOME! 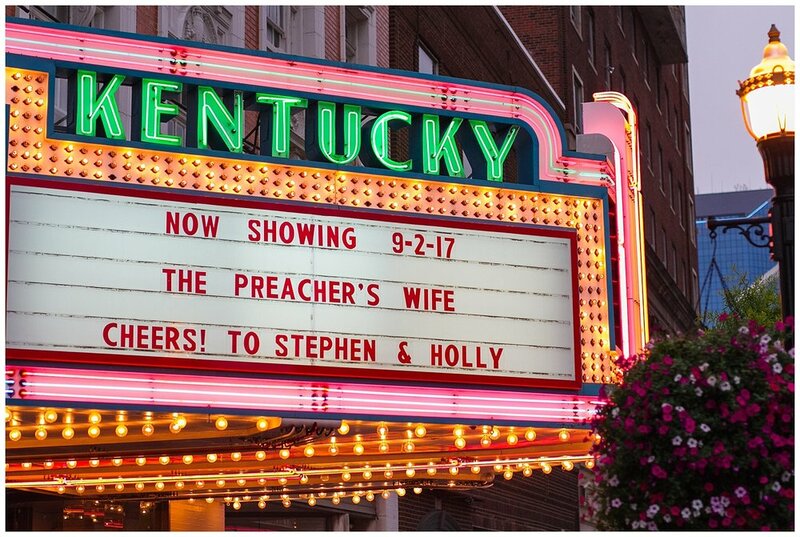 The historic Kentucky Theatre also had a little shoutout to this awesome couple. But, the dancing! The band they chose was absolutely hands down the best wedding band I have encountered so far. They absolutely rocked it the entire evening. 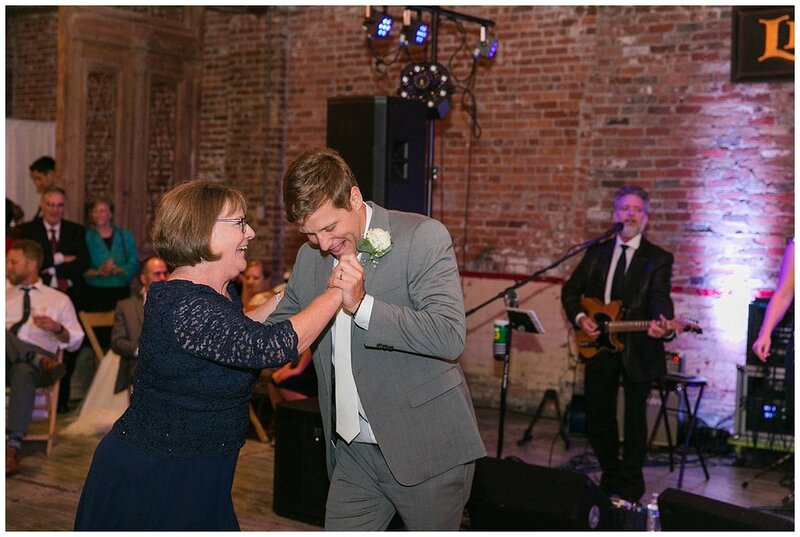 When Holly and Stephen made it to the dance floor that night, the party really started. 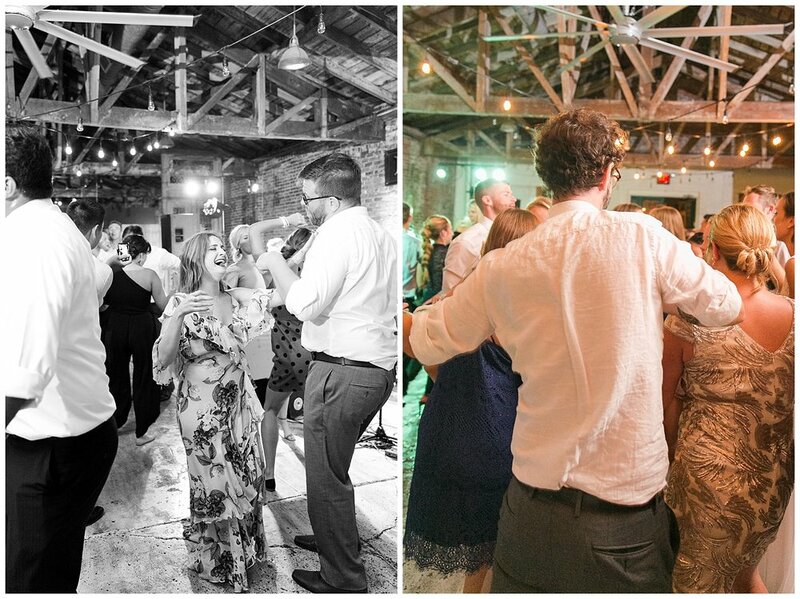 So much dancing, so much little tender moments tucked inside all the partying. Absolutely everything a reception should be! 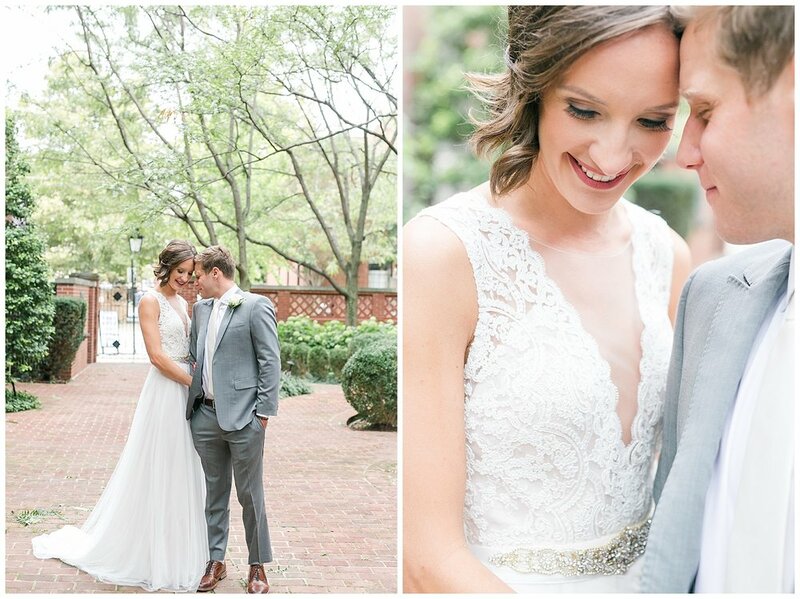 Nick and I are blessed beyond belief to have clients like Holly and Stephen. This is the first time a first look has included a first bump and I love it! Twirls and Toms?! Yes, please! 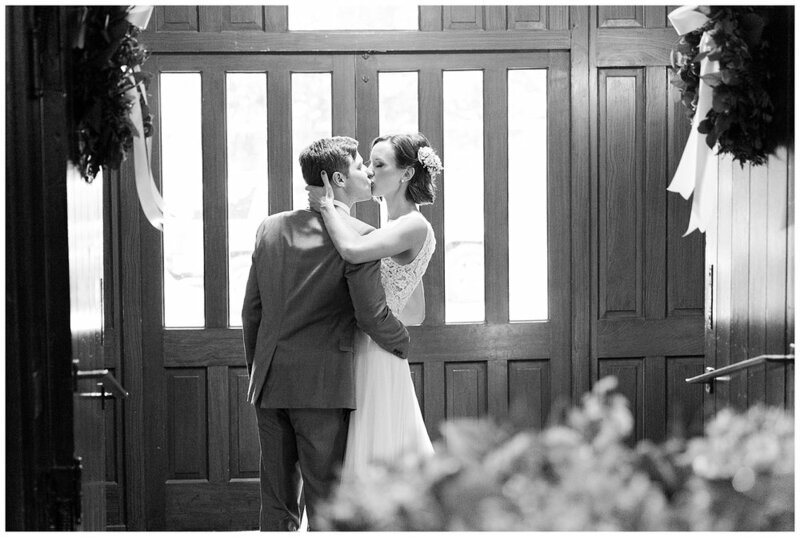 As soon as they got past the doors leading in to the sanctuary, these two shared the sweetest kiss! Here they come walking in to the song, "Son of a Preacher Man." The cake gets a thumbs up!!! Ok!! Now it is time for the bride and groom to get their groove on! These two jogged to the dance floor!! At one point, I did think a bridesmaid was going to unwilling have some cake. You know that part in, "SHOUT" where everyone gets a little bit softer now? Yeah. This is THAT moment and it is about to get AWESOME! All brides should have a tamborine.